The Art History Club is a student-run organization that serves as a venue for art history majors, minors & other interested students to explore professional & educational opportunities available in the greater Los Angeles area. The club organizes regular visits to museums, galleries, and conservation laboratories and hosts invited speakers. 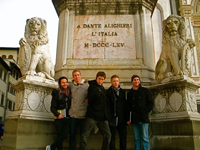 Art students have the unique opportunity to study abroad in Italy, exploring the complexity, innovation, and magnificence of two centuries of Italian Renaissance history through its visual production. With small class sizes and dedicated faculty, students get the personalized education that helps them succeed. 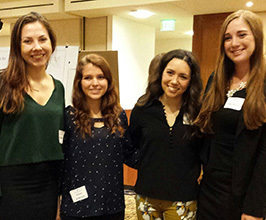 Art History students in the Junior Seminar participate in the annual Chapman University Student Research Day, crafting posters that display their research and networking with students from across the university." 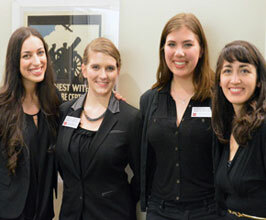 Chapman's art ambassadors introduce the community to the wide variety of art on the campus. Regardless of time and geography, art and architecture have been used to explore, express, and shape private selves and public lives. In an increasingly disposable world and even after centuries, some works of art have maintained their fascination. They continue to speak to us, although what they say may change. Understanding how visual and material choices create meaning, and how those meanings express and affect the world, is the pursuit of art history. The B.A. in Art History provides students with the practical, conceptual and methodological skills required to understand this visual communication. The act of viewing is neither passive nor naïve, but rather an active and intentional series of choices meant to create meaning: it is an act of visual intelligence. The study of art history allows students to develop and mature their visual intelligence by focusing on both visual and verbal thinking. Students will be able to write both descriptively and analytically about works of art in a variety of media. 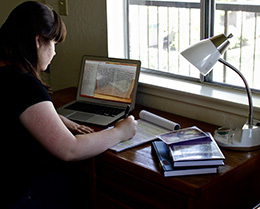 Students will be able to write an independent research paper that uses visual analysis and scholarly research to develop and support a thesis. Students will be able to conduct advanced art historical research using the full range of scholarly resources. Students will be able to recognize the theoretical concerns of art history and its allied disciplines and apply specific theoretical perspectives to their research projects. College Art Association: All artists and art historians are encouraged to join this national organization for academic and professional development. 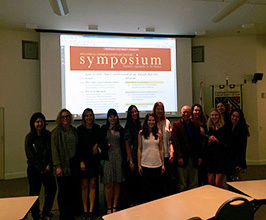 The College Art Association hosts an annual conference and publishes the renowned Art Bulletin. ARTstor: The University subscribes to this digital library as a resource that provides more than one million digital images in the arts, architecture, humanities, and sciences for teaching, learning, and research. The Undergraduate Art History Symposium is designed to offer students an opportunity to experience the professional format of conferences in the discipline to better prepare them for graduate school. Students are encouraged to intern at the many museums, galleries, and arts-related businesses in Orange and Los Angeles counties. Areni Nuyujukian: B.A. Art History, 2016. Admitted to the M.A. program in History of Art and the Art Market at Christie’s New York. Margo Kosin: B.A. Art History, 2013. M.A. 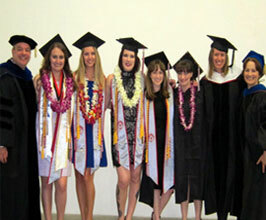 in Art Business from Sotheby's Institute of Art at Claremont Graduate University. Assistant Director at Avran Art + Design in Laguna Beach. 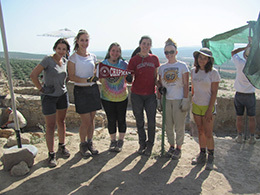 Students have the opportunity and freedom to explore a range of topics, concerns, and methodologies from historical culture, formal analysis and iconography to material culture, social history and gender studies within their General Education core. Students are encouraged to minor in Arts and Humanities, Social Cultural Studies, Area Studies and Communication Studies to supplement their major and round out their research. Students have the opportunity to travel to Italy to explore the complexity, innovation, and magnificence of centuries of Italian history though its visual production. Future travel courses are also planned for art history in other parts of the Mediterranean, including Greece and Turkey. 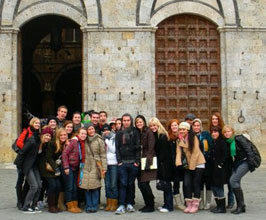 Students are encouraged to participate in study abroad programs in almost every part of the world. Studying overseas provides a unique opportunity which can open up fresh perspectives on international political, economic and social issues, interpersonal relationships and ultimate career choices. Students may study overseas for a semester or and academic year. They may also join Professor Justin Walsh in working on his excavation in the south of Spain during the summer. Chapman is the university of record for a program in Greece and a Cooperating Institute of the American School of Classical Study at Athens.